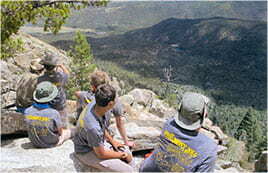 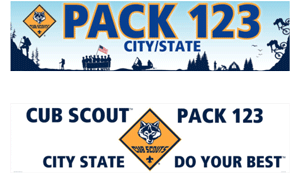 A special thanks for the time and effort put in by the leaders of your pack. 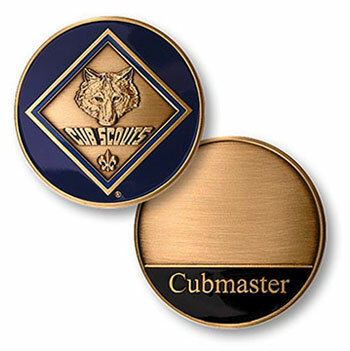 Recognize the achievement of your Cub Scout. 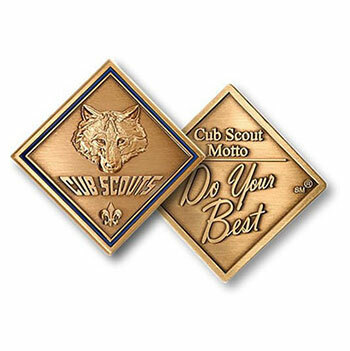 Your cub scout will carry the motto with them every day and remember the promise they made for the rest of their lives. 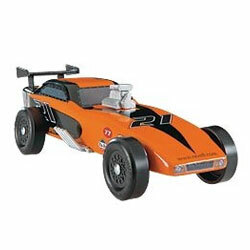 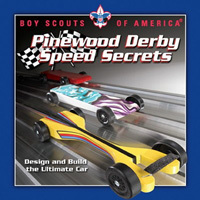 We have a lot of different items to help your pinewood derby car reach it’s maximum potential. 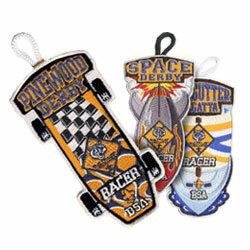 We offer tools, decals, and multiple kits to help make your pinewood derby car the fastest and flashiest. 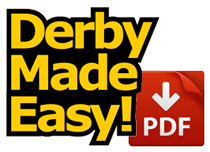 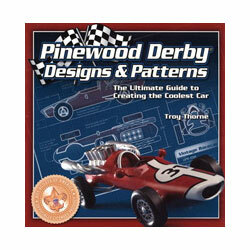 Our pinewood derby books will also help your derby car reach its maximum potential. 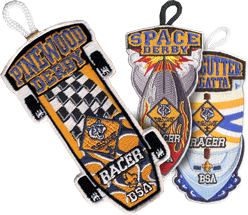 Try our pinewood derby racer patches if you’re looking for a long lasting way to reward your cubs for their effort in the pinewood derby. 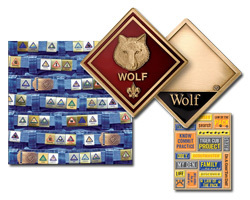 We have lots of scrapbooking supplies to help you craft and preserve a special memory of you and your cub scout. 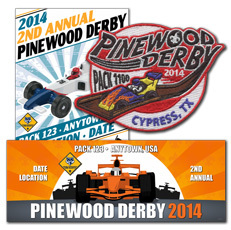 12×12 decorative paper and sticker sheets will help inspire you to create something that lasts forever. 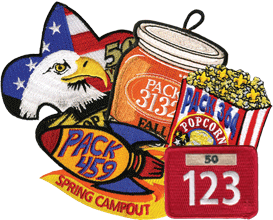 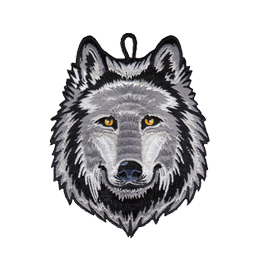 Patches are a terrific way to commemorate a special event for your cub scout. 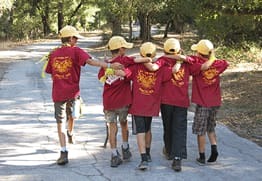 A Fishing Derby, Raingutter Regatta, or Cub Scout Games are just some of the events that you can remember fondly with a patch. 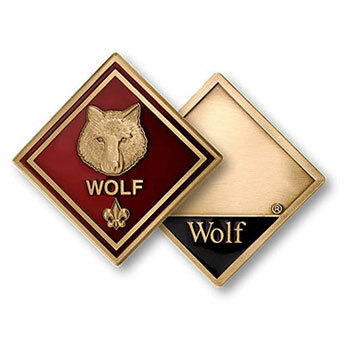 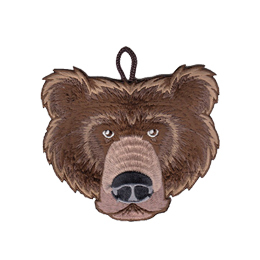 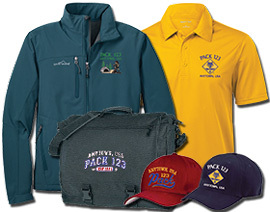 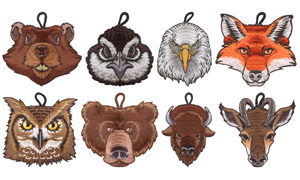 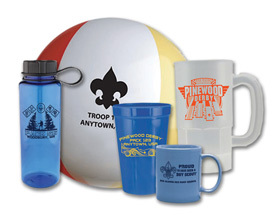 Great for recognizing a special cub scout in your den. 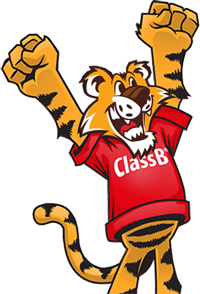 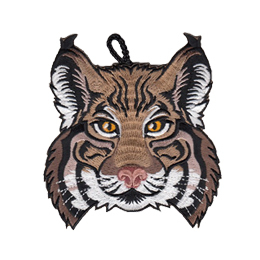 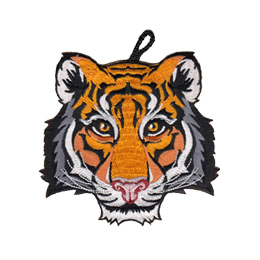 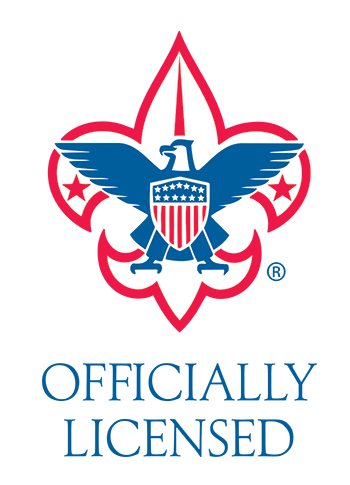 These patches can be sewn on when your cub reaches a new rank. 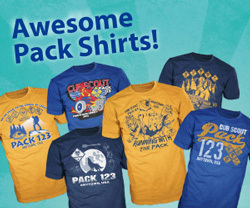 We have a great selection of toddler tees and bodysuits for your up and coming cubs. 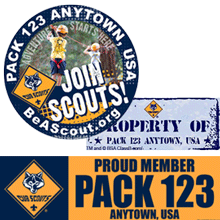 Make sure to order a few extras for your especially messy and fast growing young ones. 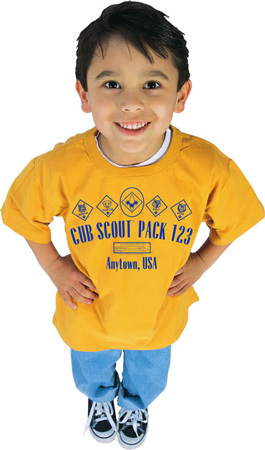 We stock tons of knowledgable and fun activity books for cub scouts. 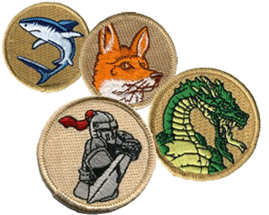 From learning all about dinosaurs, to exploring Hawaii, there’s a book for every cub!